So here I am sitting at the 30th floor at the World Financial Center, AMEX office. I have been meeting amazing women and a couple of men too, who are nothing less than hugely inspirational. One of the things I really liked was this conversation with Mr Ira Galtman, Corporate Archivist of the American Express Company. And as I walked into office today, I saw this book "Becoming American Express". This is a company with quite a rich history. And as Mr Ira said, there are not too many companies who can claim to be in business for over 160 years. One of the best events on Day 1 at Amex was the lunch with Joan Amble, my mentor, at the 50th floor which has this most amazing view of New York. And as the gentleman who served us our lunch told me, he would whip something up "fit for a queen". You bet I felt like royalty that day. Walking across, meeting various people who are leaders in this company and the community that they affect, its been enlightening. Its true when they say you learn a lot when you travel. And you probably learn a lot more when you talk to people. Sitting in India, we have this glorified view of women in western countries that they have it all figured out, all worked out and everything is easy as, to us, thousands of miles away, the west is made of so many progressive countries. But for the first time, I have come to know of the challenges that women here face. How the women here are forced to leave illustrious and promising careers just to save their marriages and take care of children. And when, unfortunately the man, during a mid-life crises or whatever one might want to call it, leaves her for the cliched younger woman, she is left without the man that she believed would lead her remaining life with, without a career and basically with little direction about where to head in the future. I hear, its quite rare, but not impossible, to have an American husband supportive of his wife's thriving career. Many talented women have left the workforce because the men have told them to. And they just decided to do it that way, inspite of the void they feel. Or they simply take the highway. In comparison, I am beginning to think that men in India don't seem to have so much of a problem with their working women - women have been in the fields along with the men (and I mean the agricultural field), girls outperform boys each year at school exams (I am not sure about what happens at university) and unless of course, the women starts making more than her husband or is in a higher position than him, there isn't too much of a problem. We had a woman Prime Minister about 30 years ago, which most nations cannot claim. And some nations aren't even getting close to that. Its true that I have mostly met only women achievers so far. And their journeys are incredible. I just heard a speech (It's a Jungle Gym Out There) of my mentor, Joan, at UCLA and she ended that with "Success comes from knowing that you did your best, to become the best". And of the many things I will take back from these amazing women and this amazing lady who is now my mentor, this is something I am going to paste on my wall. Listen to her speech here and I wish for you that you be able to learn a bit of what I am learning with her right here, at Amex. 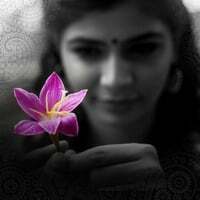 Nice post Chinmayi.Here's my PoV on the problems that women over there. They don't have elders at their home to take care of the kids which rules out the option of the lady going to work during the first 4 years of the kid's growth. Most of them don't respect parents and stay away from them. Probably the guy is one of the sons of his Nth wife and hence his parents don't know to prioritize. That's the reason why they don't have long term commitments and savings attitude for that matter. Govt takes care of seniors and kids disown them. It's a vicious circle and there should be a way to fix it. Glad to know your initiatives to understand the issues in this segment. All the best. Looking forward to know more updates. What a powerful woman, props to her. I really feel inspired by her speech.. So true that striking that work-life balance here is very difficult in general, and it becomes even harder as your work up the corporate ladder and have a family. Any spousal tension exacerbates what's already a delicate situation. Seems that, for women, it's especially tough because most men don't enter marriages with the expectation of becoming the bread-runner-up and shouldering family responsibilities. It's a mold that will take time to deliquesce. It doesn't help that human labor costs here are astronomical, so hired help isn't realistic for nearly everyone. Obviously, as you've mentioned, in India, it's a much different story. Now I'm wondering if having so many women in the employ of others as nannies and maids is, even if convenient for those who have gained a modicum of success, ultimately hinders the progress of women educationally and economically? Link to Joan Amble's speech is broken, can you point us to the right link ? Nice to read your experinces. Chinmayi, the link to Joan's speech is not working. Can you please check? Thanks! I cannot open the link! I am really glad that you are on the right track. I am sure you will achieve something great very soon. Though I am just 40 minutes away from Manhattan, I am not happy that I am unable able to meet you since I am away to Chicago on official work. Hiii chinamy im ur biggest fan !!! kannathil muthamital to Engayum kadhal ..i love ur voice!! especially VTV Thrisha voice..
i really feeel bad!!! because i tweet more ...but u no response anything!! I am happy and proud for you !! Nice post, you seem to be on a roll in the land of opportunities, so to say, I will never know typing away in south India, but your observation is right on the money. Women are more protected legally in U.S. than in India. you are simply great chinmayi! !